synchronisation adjustments, accounting for the belt's progressive extension. Keeping apart the technical details known in the Food and Beverage Companies just to a few Electronic Maintenance Engineers directly caring these equipments, there is a fundamental necessity to constantly control, record, log, print and save data. Data describing at constant intervals, as an example, associated to the change of Staff Shift or a batch of production, what rejects, originated by what of the individual inspections reduced with losses the Production efficiency. Without objective numbers and records related to amounts of caps, closures, glass or PET bottles, cans, lids, crates or cases, how to let facts speak for You ? without any interference, no software nor hardware, into the Company own pre-existing Ethernet network. The best way to cut losses and increase the Production efficiency, is the most comfortable one: from Your chair. Supervisiong it all in the concentration only available in your Office, far from the difficult and noisy environment of the Packaging Lines. To train Production and Maintenance Staff in the running Packaging Line, due to the extremely noisy environment, mean that just a few attending the course shall really hear all what is being in the meantime explained. But, there is much more relevant point. All inspection equipments based on cameras handle intense flows of ...images ! To make an example, a 150 pages book with just texts into, front and rear covers included, is equivalent to a PDF document sized less than 500 kB. But, how to explain images ? ...how many words should be necessary to explain a flow of images, when each frame outcoming by a common 1 megapixel camera yet occupies ~500 kB ? Only a flow of the real frames outcoming by each one of the cameras, can really be used to explain by mean of real facts to Your Maintenance Staff how-to efficiently keep in some well-defined conditions the imaging systems. Compensating the wearing of mechanical parts, of the polariser filters, of the strobe illumination systems, of the anti-reflex coating of the inspection glasses exposed to be damped, scratched and dirtied, etc. etc. We’d be happy to show You what impressive immediate results are obtained when the Maintenance and Productions Staff, attending the Packaging Line and the Electronic Inspection equipments therein, is trained in the best existing conditions. The Pilots of the aeroplanes encounter these excellent conditions in the flight simulators. Same way, a permanent connection linking your offices and conference rooms to the electronic inspections equipments operating in the meantime in the Packaging Lines, means You can finally train Your Staff to the reality of the challenges they have to be ready to front. Converting this Training in a truly successful activity, whose advantages are felt minutes later in terms of improved handling of the Packaging Lines. It was Spring 1998 when we participated to the commissioning of a prototype of what became later the successful HEUFT™ Linear™ Empty Bottle Inspector. 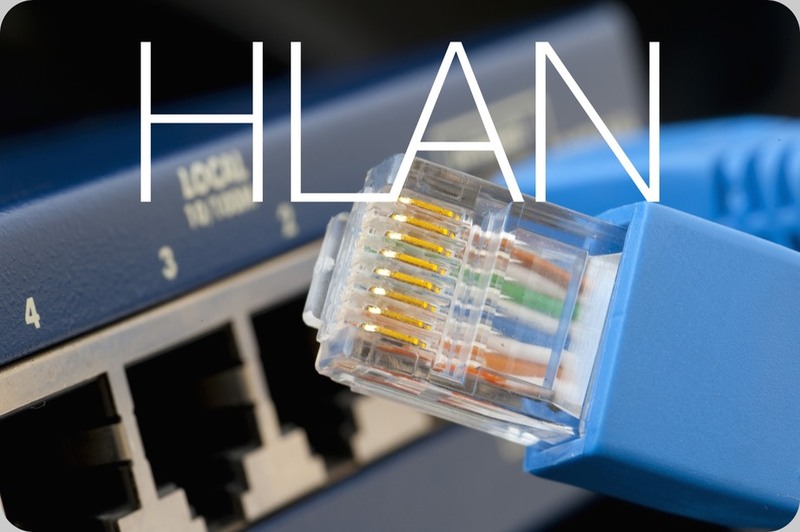 Our first equipment adopting HLAN (HEUFT™ Local Area Network) protocol, hardware and solutions built around a modem-router originally named NetCPU. Since then, we commissioned nearly 400 HEUFT™ Spectrum TX inspection equipments’ based over the innovative HLAN network concept. And, as a consequence, we master execution and turnkey delivery of the entire hardware and software system, including high-Quality Switches, Modem-routers, Category 6 Ethernet cable, etc. Our hardware choice is NETGEAR™. Have Your Company’s IT Department any preference toward some different brands or standards, like Cisco™ or hp™? Do you favour VLAN-solutions, integrated in your Company pre-existing network? Contact us. It’ll be for us a pleasure to tailor hardware and software components following your preferences. Or, maybe do You prefer an Expert Service Technician permanently embedded in your most complex, critical electronic inspector ? They passed many years since that May 2005, when we first delivered to a British Customer a reliable teleAssistance™ system, remotely controlling a VISION™ Full Bottle Inspector in the Midlands via 256 bit-encrypted Virtual Private Network (VPN). Thus, allowing readjustments, as an example during changeovers, from other countries of the camera-based inspection equipment we commissioned before. On request, if for any reason you prefer to keep the know-how out of Your Company, we can also provide a teleAssistance™ technical remote assistance via-Internet. In this case, you’ll provide a DSL-line to access Internet. Contact us. Provide us some basics, like the position in the Line or Lines’ Layout of the electronic inspection equipments, and from where you’d like to control them. Graphene™ shall show you how to meet your specific requests.